Microsoft’s collaboration story is pretty muddled. The unified communications vendor has several applications with overlapping features: Skype for Business, Microsoft Teams, Yammer, Office 365 Groups and even Outlook all handle varying degrees of collaboration. Of all these products, Skype for Business and Microsoft Teams are perhaps the two most ripe for consolidation. 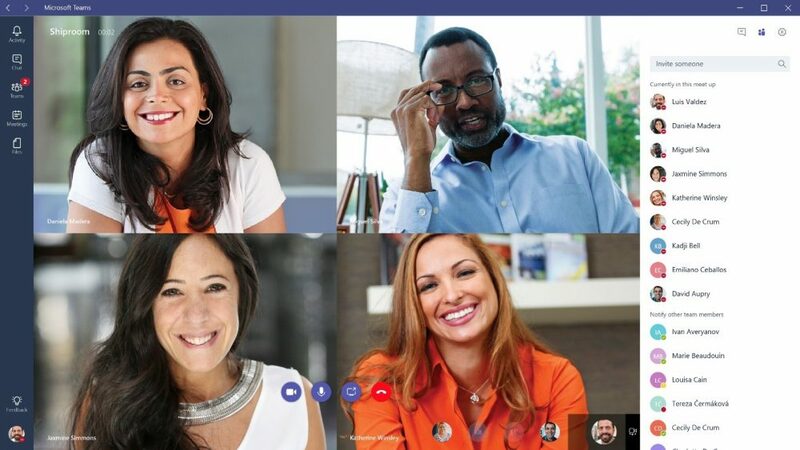 Right now, the two products are separate entities that complement each other, said Irwin Lazar, an analyst with Nemertes Research, a tech advisory firm based in Mokena, Ill.
Microsoft Teams voice and video meetings. Skype for Business offers both on-premises and cloud products as well as a hybrid option. Microsoft Teams is a newer cloud-based, messaging-centric collaboration app. Both products are part of Office 365 and feature messaging, presence, and voice and video communications. However, Skype for Business has additional features including PSTN calling and conferencing. Does Microsoft UC lack harmony? Microsoft, like many other vendors, is prioritizing development of cloud services rather than focusing on premises-based products. Additionally, team applications are becoming the next UC client, Lazar said. For example, while Cisco still supports its collaboration service Jabber, the vendor is pushing new development into its Spark product. RingCentral, too, recently revamped its UC product based on its acquisition of the team collaboration tool Glip. When compared to Microsoft, other UC vendors — including Cisco, RingCentral, Mitel and BroadSoft — have more harmonized products that converge team messaging and UC. Microsoft is probably a year away from having that kind of harmony, Lazar said. Meantime, UC analyst Dave Michels raised his own questions about the vision and leadership of Skype for Business. He, too, sees Teams bulking up and Skype for Business slimming or slowing down. Skype for Business did receive a couple of updates in March with the addition of auto attendant and call queues to the Skype for Business cloud PBX. Skype for Business software has also made its way into meeting rooms with the help of hardware from partner vendors Crestron, Logitech and Polycom. Microsoft also announced in March a preview release of Skype for Business Online Call Analytics, a dashboard that helps IT managers identify and address call-quality issues. Microsoft’s current lack of a collaboration vision hasn’t exactly hurt the company. At last tally, Office 365 had more than 100 million monthly commercial active users. Would UNIFY be a proper replacement of all these products?